Barrie Colts select Andrei Svechnikov 1st overall at CHL Import Draft. #OHL #CHLImportDraft - Very Barrie Colts | A website covering the Barrie Colts of the OHL. With the 1st overall pick of the 2017 CHL Import Draft, the Barrie Colts have selected Andrei Svechnikov. 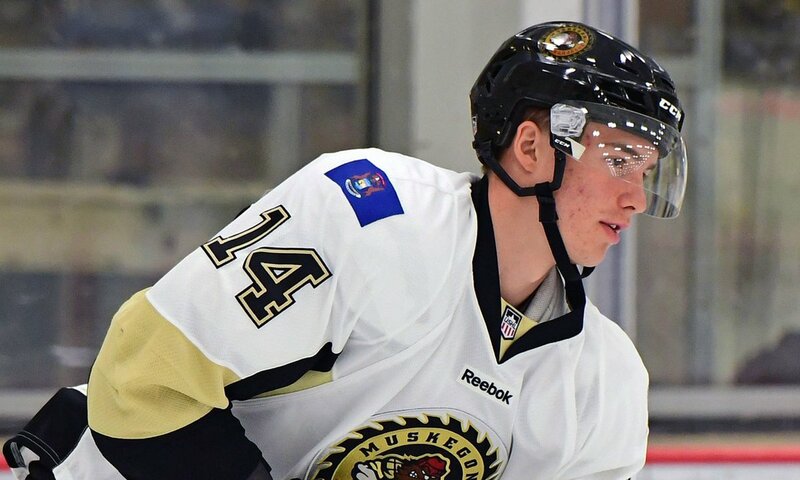 Svechnikov spent the 2016-17 season with the Muskegon Lumberjacks of the USHL where he would put up 29 goals for a total of 58 points in 48 games. The 16 year old (17 now) would rank 6th league wide for points and went on to win the Rookie of the Year. This past week, the Colts signed their 2016 Import Draft pick Alexey Lipanov, who is no stranger to Andrei having played with him on Russia and winning bronze at the 2017 IIHF U-18 World Championship. In 7 games played, Svechnijkov would score 4 goals and add 5 assists. Andrei is the younger brother of Yevgeni Svechnikov who was drafted at the 2015 NHL Draft by the Detroit Red Wings. He went in the 1st round, 19th overall. Andrei is draft eligible at the 2018 NHL Draft where many expect him to go early in the 1st round, if not be selected as the 1st overall pick. Congratulations to Andrei and the Barrie Colts. Here is a look at some of Andrei's work!